ubai Derma 2018 was held at the Dubai International Convention and Exhibition Centre from March 19-21, under the motto “Skin Health is Our Concern”. Dubai Derma provides the best platform for all participants to boost and update their knowledge in dermatological science and technology through a variety or courses, workshops and lectures. Classys was proud to have the opportunity to be one of the exhibitors and have the opportunity to share their latest advancements in the non-invasive procedures. It is the goal of Classys to continue to work alongside Dubai Derma to build towards a brighter future for dermatology around the world. 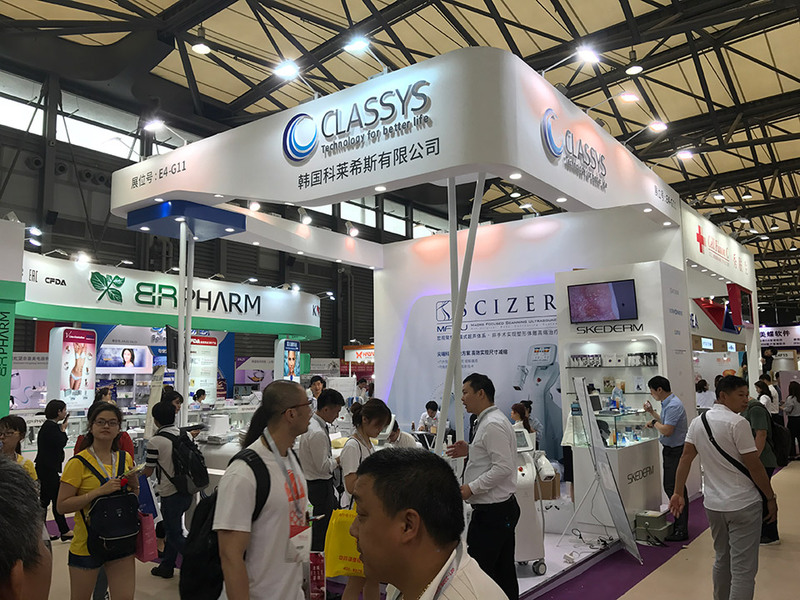 A global leader in the non-invasive medical aesthetics market, CLASSYS Inc. has succeeded in promoting its cutting-edge developments at the Korea International Medical & Hospital Equipment Show (KIMES) 2018 exhibition in Busan, Korea. The 22nd China Beauty Expo hosted 3,000 exhibitors with over 350,000 visitors from 26 countries at the Shanghai New International Expo Center from May 23rd – 25th in Shanghai, China.